By becoming a member today, you'll be joining over 1,000 others in helping to sustain RoCo. Your tax-deductible donation will support our thoughtful contemporary art programming. 1 year membership includes all benefits listed below for a household. + Discounts on Future Fund artwork purchases. 1 year membership includes all benefits listed below. For two adults, or two adults & 2 children. + Invitations to special Curator's Circle events and tours. Free general admission and reduced admission to special events. 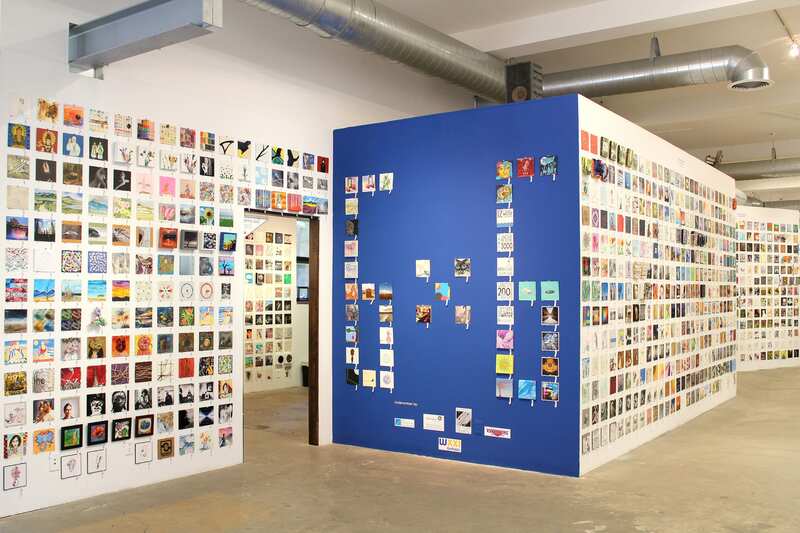 Members only invitations to opening receptions, performances & other events. Exhibition opportunities in the annual Members Exhibition and LAB Space. Discount on VSW's Summer Institute Workshops and Photo-Bookworks Symposium. The satisfaction of supporting and being a part of Rochester's Contemporary Art Center. Sponsor level and above: Discounts on Future Fund artwork purchases. Curator's Circle and above: Invitations to Special Curator's Circle talks, tours of private collections and opportunities to meet visiting artists. 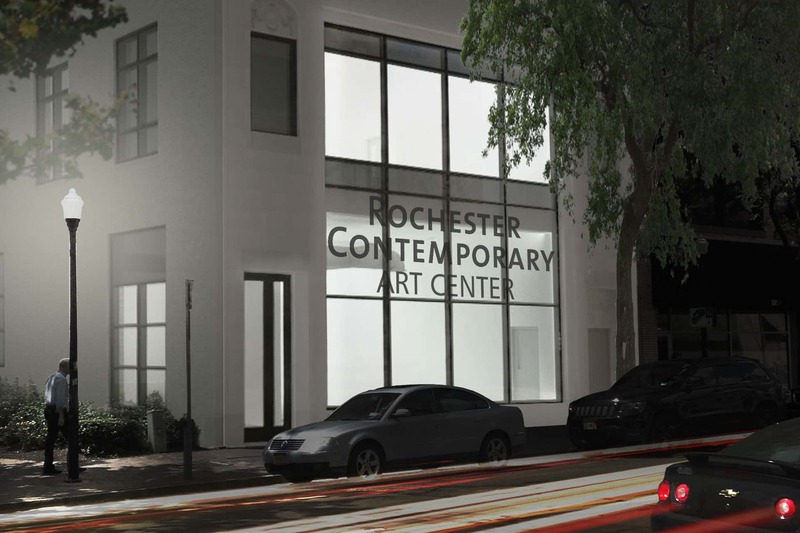 Make a general donation to Rochester Contemporary Art Center. Follow the link below to specify the amount you wish you give. There are many ways to support your favorite RoCo program! Our exhibitions and programs wouldn't be possible without foundation, individual, AND corporate support. 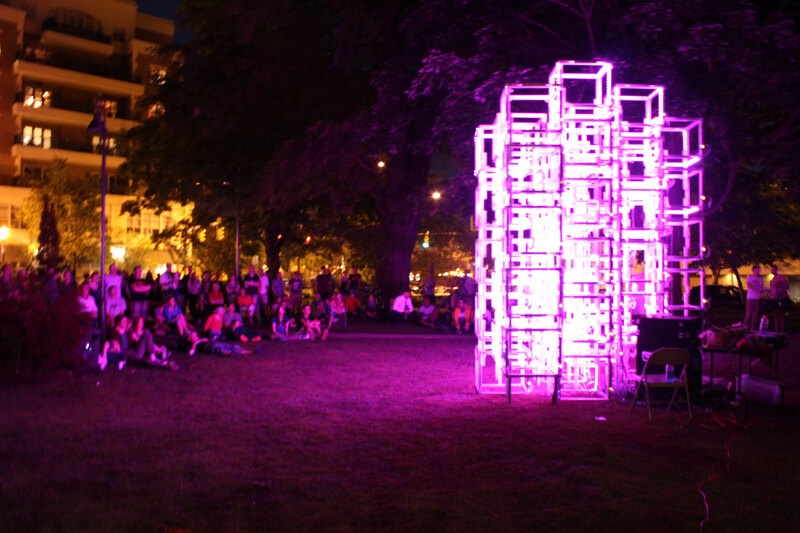 Underwriting and Sponsorship helps us provide diverse audiences with thoughtful contemporary art programming. In return, we are committed to recognizing exhibition supporters. Exhibition support is a great way to increases brand visibility, demonstrate corporate social responsibility and support art in downtown Rochester. Corporate sponsorship actually works! According to a study by Culture Track, 50 percent of respondents said they would be more likely to patronize businesses that sponsor cultural institutions than those that don’t. Contact us to learn more about funding opportunities and the benefits of exhibition support. On the occasion of RoCo's 40th Anniversary we launched a special endowment campaign that will have a transformative effect on our programs and operations. Our endowment will generate funds to support our annual operations. 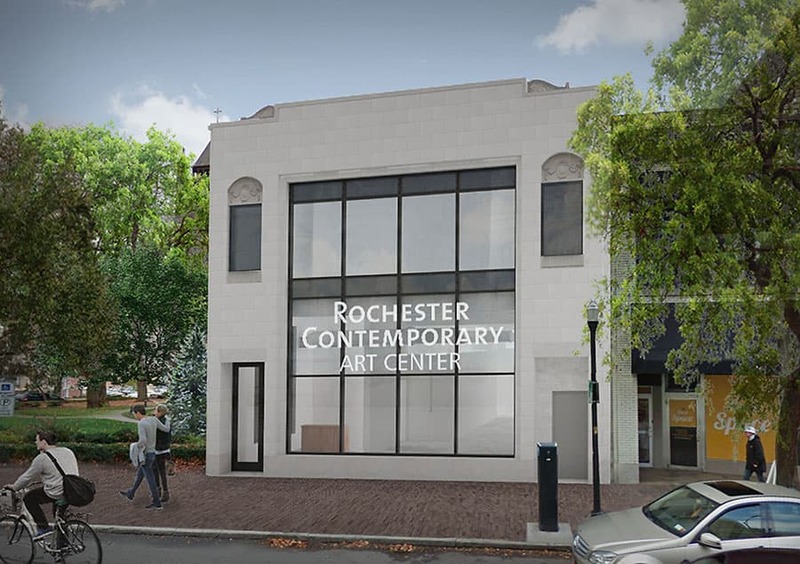 Growing our endowment to a meaningful, sustaining level will ensure that thoughtful contemporary art will have a significant presence in Downtown Rochester for the next 40 years. Individual donations, foundation support and the sale of special fundraising items such as RoCo Thredz, will all help us reach this goal. Thank you for considering special support of this campaign and helping to ensure the long-term future of RoCo. Contact us to learn more about our endowment. RoCo depends on membership, annual fundraisers and our endowment to support our exhibitions and operations. Planned gifts reduce our reliance on annual fundraising and advance RoCo's long-term capacity by building our endowment. There are various types of planned giving each with different advantages. All planned gifts are meaningful and important contributions that will help support our contemporary art programming for many years to come. Planned giving does not require great wealth. It can be as simple as including RoCo in your will or naming RoCo as beneficiary of an IRA, 401k or Life Insurance Policy. For example, several younger RoCo supporters have notified us of that they have named RoCo as one of the beneficiaries of their retirement plans. We're touched by their commitment and encourage you to join them. Contact us to learn more about how your planned giving will support RoCo. Artwork or other tangible personal property may be donated to RoCo. In addition to outright gifts, we welcome promised gifts of art or other assets. By making a gift of real estate, you can leverage a significant asset for your benefit and RoCo's. Gifts can be made with residential, commercial, or undeveloped real estate. One of the simplest ways to support RoCo's future, a bequest provides a gift for RoCo in your will. Consult your legal representative to name RoCo in your will. 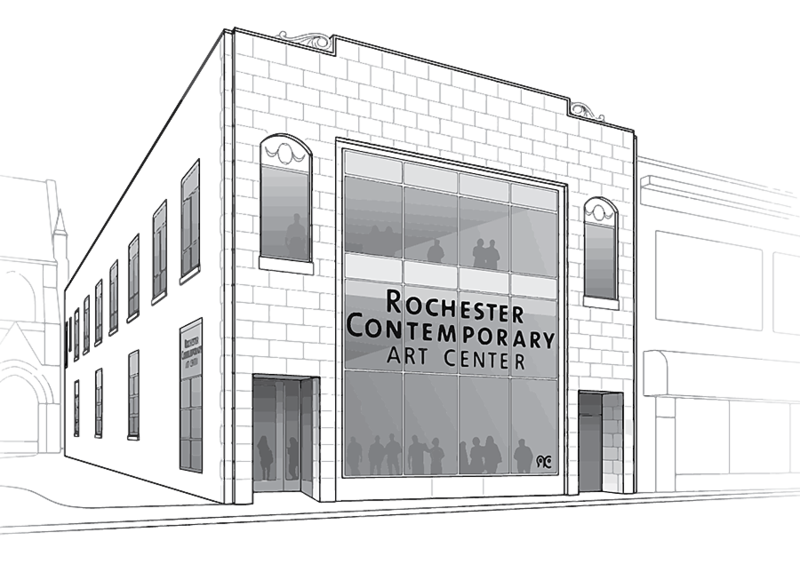 Rochester Contemporary Art Center has a close working relationship with Rochester Area Community Foundation - our growing Endowment is administered by RACF. Several other options such as: Charitable Remainder Trusts, Charitable Lead Trusts, and Charitable Gift Annuities may be utilized with the advice and administrative support of the Community Foundation's staff. We encourage you to consult your legal representative or tax advisor regarding your personal circumstances. Thank you for considering RoCo in these important, planned giving decisions. Thank you for considering RoCo in your planned giving decisions.